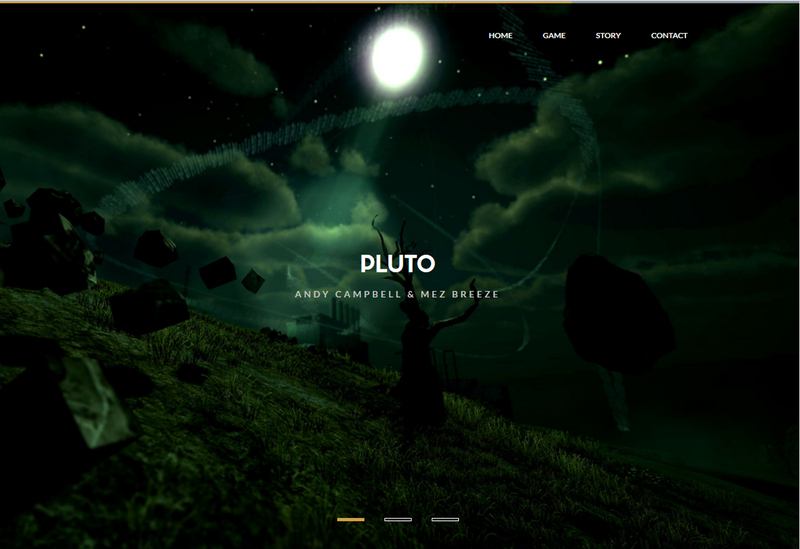 We’re blisteringly pleased to inform you all that Pluto, our latest game based transmedia project with Dreaming Methods, has been shortlisted for The Space’s Open Call Competition. Out of a field of approximately 600 submissions, our project has made the grade. The next step is working with our designated Associate Producer, Maria Bota, to further develop our proposal. Exciting times! Being interviewed by Dr James Pope [from Bournemouth University’s Media School] as the first in a series of interviews with the 2014 New Media Writing Prize Judges. #PRISOM is also expanding its cultural reach well into 2015, with Games Curator Skot Deeming inviting us to exhibit the game as part of the Transitio_MX New Media Art Festival/Symposium in Mexico City [October 2015]. #PRISOM is also the subject of two articles by keeno-academic-types that are to be published in 2015 [which unfortunately have their publication details embargoed for now, but we’ll let you know the deets ASAP]. Being commissioned to write an overview article [for a 2015 edition of Cordite Review] that takes a loose chronological look at my more influential works [fun + challenging, all in one bag]. #Carnivast, our [and Andy Campell’s] Code Poetry/Virtual Reality App that the lovely Rob Myers describes as “…very much its own experience, a series of distinctive spaces to float in…all meditative spaces. #Carnivast is a mature VR artwork…” has been selected for publication in the Second Edition of Overland’s special Electronic Poetry Series entitled “Photonic Overland” [live as of December 9th, 2014]. #Carnivast is also popping up in a remixed-print-flattened [but spectacularly evocative if I do say so myself] form in the interdisciplinary art magazine ENTER+. There’s an essay about it with illustrations showing the evolution of the app and its exhibition in the “Repurposing in Electronic Literature” Show. The launch of the publication happens at the Faculty of Arts and Social Sciences, Kingston University London on Friday, 12 December 2014 from 16:30 to 19:00 (GMT). An invitation to serve on the board of an International Digital Literature Organisation [again, the formal details need to be kept under wraps until the official announcement]. Wrapping up the fantastic Storyjacker Summer Games 2014 collaborative writing endeavour [writing alongside the incredibly talented Ed Hogan and Jenn Ashworth]. As David Jackson, the Director and Designer of Storyjacker, says: “Two trios of fantastic writers took part in the Summer Games. The idea was to see how they would write when they’re thrown into a game and challenged to tell stories together. To this end, two groups of authors wrote stories using Storyjacker‘s Bamboo game – taking it in turns to write options for what happens next, making decisions on what should stay. The result was two intriguing collaborative tales that were both similarly strange and enigmatic.” Hit up David at david[at]storjacker[dot]net if you’re keen to participate in future Storyjacker events: he is one of the nicest blokes you can imagine [he, Ed, Jenn and I had enormous fun link-hurling horrifically earwormy 80’s tracks at each other during the event]. And finally, as I can’t list the entire opportunities that are so far slated for 2015 [as your eyes might just glaze over more so than they might be doing right now], invitations to write 3 book chapters for different publications are all in play [one concerning Women Tech Pioneers, one concerning Code Poetry and one concerning Meme Cultures] with publishing dates spanning 2015 – 2017. Phew. Hopefully the last weeks of your 2014 [+ the beginnings of 2015] have been, and will be, just as rewarding and productive. Take care over the Festive [Feral] Season, and make sure to splatter good cheer [and any good news] as far and wide as is possible.